Whether you need it for marketing your business or for sharing your blog message with the world, enhancing your WordPress website shouldn’t be your concern. Our team specializes in getting the technical side of the job done, so that you can feel free to creatively express yourself and do what you do the best. Once done, a website should be an authentic reflection of your brand identity, which is why our services go beyond theme installation and include theme customization as well. 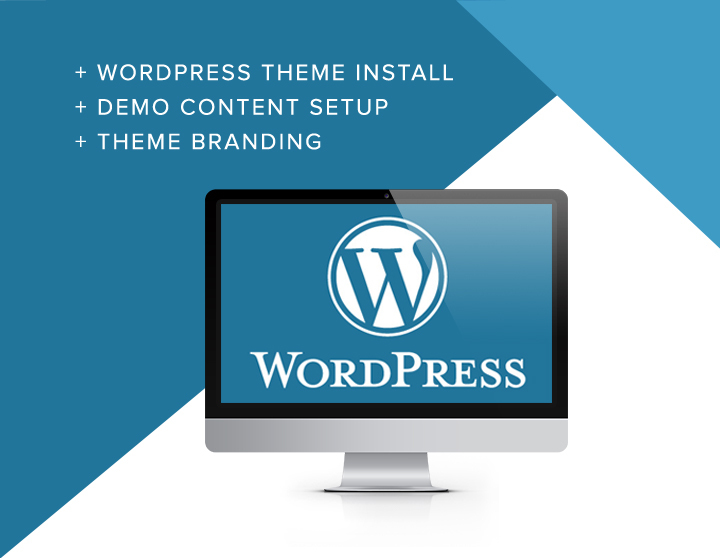 Simply equip us with your WP theme files, a license code (if needed), your domain name, Hosting Control Panel Credentials and WordPress Admin Credentials, your demo content and a company logo (in EPS, Ai or PDF format), and rest assured that your website will be both highly functional and personalized to represent your unique brand exactly the way you want it to. Does this sound too technical? No worries, we walk you through this process thanks to our support.